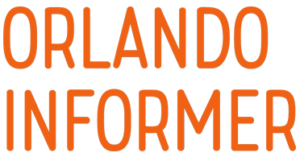 In this guide, we’ll examine My Universal Photos (formally known as Universal Photo Connect prior to July 11, 2016) in detail, and we’ll provide you with all the information about ride photos available throughout Universal Studios Florida, Islands of Adventure, and Volcano Bay. We’d like to kindly advise you upfront that there is a lot of information in this guide, so don’t try to digest all of it on your first read-through. But do take the time to review all the details and advice we offer before your trip, because this program can be confusing to guests and Universal team members alike. First, we will discuss the My Universal Photos service, and then we will discuss specifics about ride photos. Let’s get started! 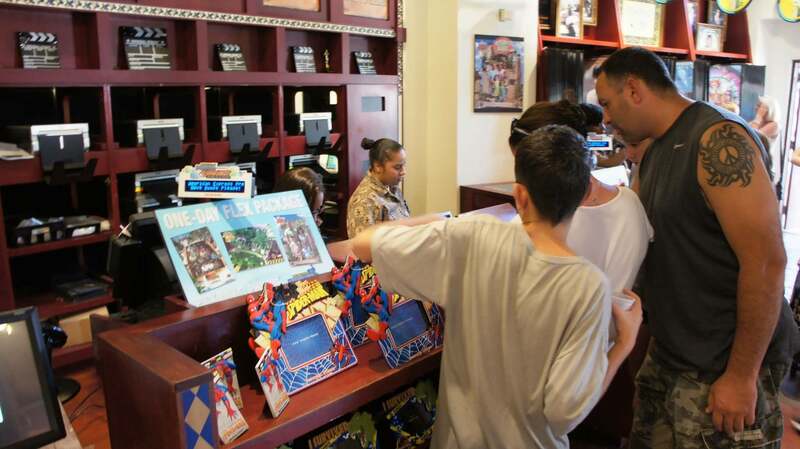 My Universal Photos is Universal Orlando’s program that enables guests to collect, view, and share photos, and also create one-of-a-kind custom memorabilia. 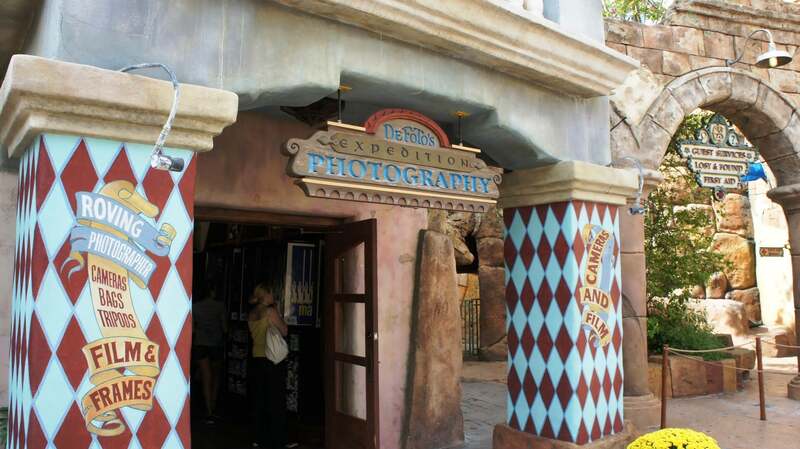 When you enter Universal Studios Florida or Islands of Adventure, you will be greeted by a photographer who will offer to take your party’s photo. As with Disney’s PhotoPass, the photographer will take a series of pictures and hand you a My Universal Photos Card with a QR code. You may use the same My Universal Photos Card throughout your day at Universal Orlando – at both theme parks and on all participating rides – but you do need to get a new card each day of your visit (unless you purchase a My Universal Photos Package, as we will explain further down the page). Unlike Disney’s PhotoPass, with My Universal Photos your pictures are not automatically available online. Instead, you are given the option to purchase individual prints or purchase a My Universal Photos photo package, which will give you online access to digital proofs of your images. 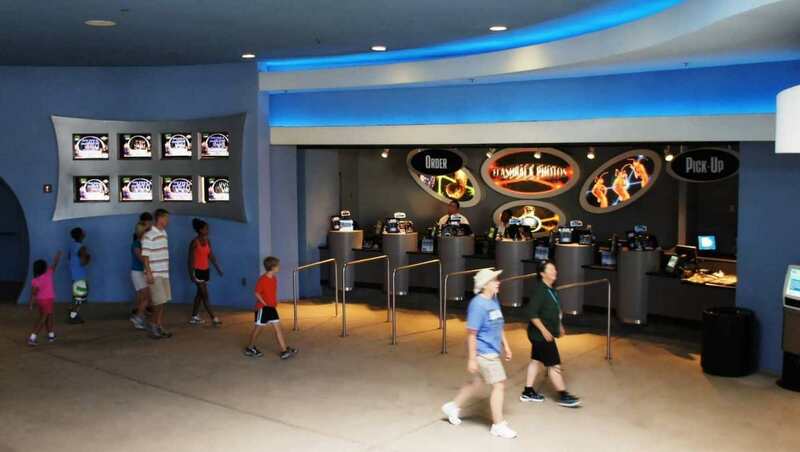 When you step inside, a team member will ask for your My Universal Photos Card. If you happen to have more than one card, they will be able to merge them. It isn’t necessary to stop at the My Universal Photos counter immediately after your first photo is shot because it can take up to two hours for your photos to become available in the system. However, you must – repeat, you must – view your photos inside either park before the end of the day – My Universal Photos cards are good for the same day only (again, unless you purchased a Photo Package). The only way to have the ability to view your photos online is to purchase a Photo Package. The package can cover multiple days and includes unlimited access to digital proofs of all of your in-park and ride photos. Universal’s new water theme park does participate in the My Universal Photos program, but – as you can imagine, with all that water everywhere – it takes on a slightly different form. As with everything else at Volcano Bay, the whole experience revolves around the TapuTapu wearable; this nifty little device acts as your My Universal Photos Card (even automatically uploading all your pics for you if you have an email address linked to your device), and it also takes the place of the roaming photographers in the form of all the various TapTu Snap locations that are spread throughout the park (just swipe your TapuTapu at the cameras and they’ll snap a nice photo of you and your compatriots). TapTu Snap locations can be found on your right as you walk into the park, in front of Kohola Reef Restaurant, near Honu ika Moana, near Ohyah and Ohno. Both of Volcano Bay’s stores (Waturi Marketplace and Krakatoa Katy’s) have a photo stand where guests can scan their bracelets and then view or purchase whatever photos they have from their day’s adventure. These entries also include ride photos, but please note that only a certain number of the water park’s attractions offer such photographic mementos. What does “unlimited access” mean? This means that once you have included a photo as part of your collection during the period for which your package is active, you will be able to access that photo and view/download it at any time in the future using the My Universal Photos website (which we’ll discuss in a bit) or the mobile app. In this sense, once your photos are part of your account, your access to them never expires. What if there are 10 people in my family. Do we just need one package? When you purchase and activate your My Universal Photos Package, you receive two cards for that package. Using these two cards, you can add as many photos as you’d like to your account. So, if you have 10 people in your family, as long as you’re happy collecting photos in one account using two cards, you’re set. PRE-PURCHASE OFFER: currently, Universal guests can pre-purchase the three-day Digital Package at this special website address. What’s more, the online price is at least $10 less than the in-park price. Unfortunately, the website doesn’t give users any details about how long purchases are valid for, but we’ve been told by My Universal Photos reps that they are good indefinitely (meaning the voucher you purchase today should be redeemable even if you don’t travel for six months or more). 1-DAY AND 3-DAY EXTENSIONS: although not widely advertised, guests on-site may purchase package extensions – one day for $24.95 or three days for $39.95. 1-DAY AND 14-DAY PACKAGES – ONLINE EXCLUSIVE: My Universal Photos has now made available an one-day and 14-day version of the photo packages, but – and this is a big “but” – the one-day and 14-day options are only available online as a pre-order, not in the parks. It is $69.99 for one day and $139.99 for 14 days. To check out pricing and place your order, visit the pre-sale site. ANNUAL PASSHOLDERS: you can also purchase a My Universal Photos Package in-park for $149.95, plus tax, but it is good all year. Please note that this price nearly doubled in August 2014 to $99.95 and then to $139.99 in 2015, but it still may be a good value for some. Annual passholders can also use the pre-sale site and save $10. 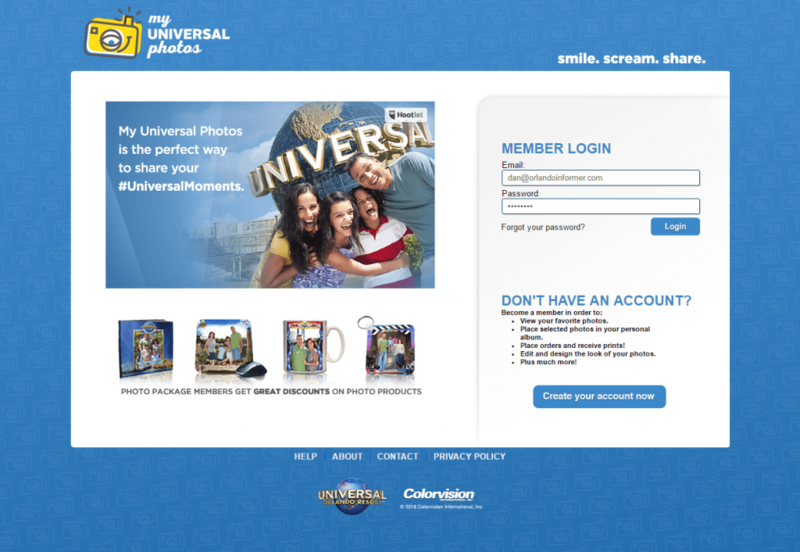 For guests who are using a My Universal Photos Package, the online portion of the My Universal Photos service is fairly straightforward – all you have to do is visit MyUniversalPhotos.com. The URL is also found on the back of your My Universal Photos Card, and you will receive an email at the address you provide when you purchase the My Universal Photos Package in the park. Once you register on the site with your email address, you can access your photos by entering the code on the back of your My Universal Photos Card. From that point on, any photos added to your card will go directly into your online account. 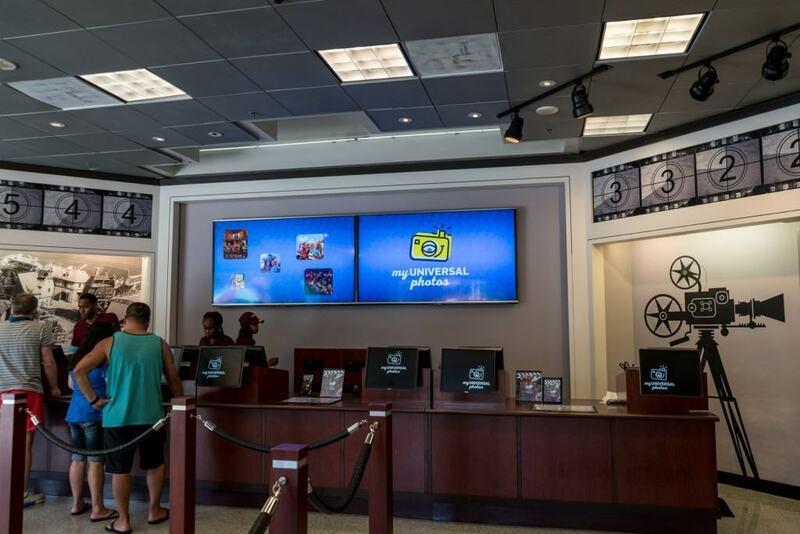 That being said, we recommend that you stop by a My Universal Photos Store on your way out of the park each day you’re visiting; you just want to make sure all of your photos have been properly edited and placed in your account. In addition to viewing and downloading standard prints, the Photo Package also allows you to order a large variety of products from the website when you return home. Finally, there is an app available for iPhone and Android that will allow you to view and share your photos using your mobile phone. Keep in mind that full use of the app requires that you already have your My Universal Photos Card online account set up, which you need to do on the desktop website. But photographers are not at every meet-and-greet, and they usually are not spread around the park in scenic locations like Disney is well known for doing. So, if you want lots of photos to remember your trip by, you definitely need to bring your own camera. Think of the My Universal Photos service as a supplement to the pictures you’ll be taking and as a way to get ride photos. 2. If you want to be able to view your photos online, you must purchase a My Universal Photos Package. In the old system, purchasing any photo print would make all of your photos available online. This is no longer the case. 3. 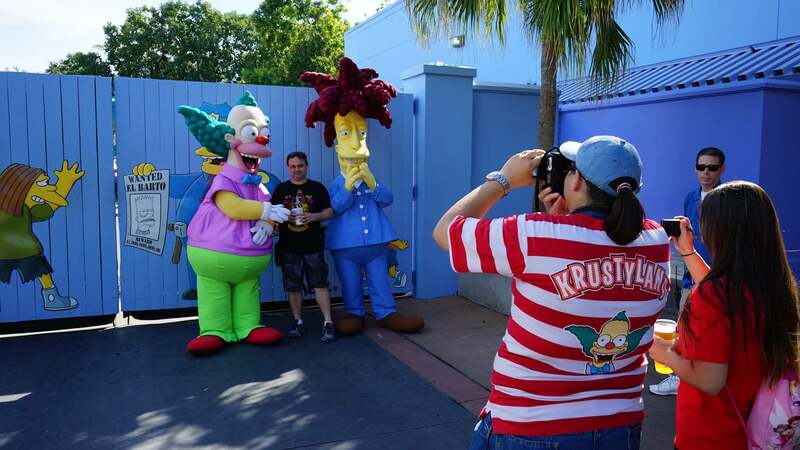 Only the three-day and annual passholder My Universal Photos Packages are offered on-site at Universal Orlando. If you’re interested in the one-day or 14-day option, you must pre-purchase the package online. 4. Once you purchase and activate your My Universal Photos Package, all photos added to your My Universal Photos Card should be automatically uploaded to your online account. Nevertheless, we still recommend that you stop by a store at the end of each day you’re visiting just to make sure everything is where you want it to be. 5. If you don’t purchase the My Universal Photos Package, you must view and purchase prints the same day your photos are taken. Without the My Universal Photos Package, any photos you have on your temporary My Universal Photos Card are forfeited at day’s end. That’s a lot of stuff to remember, isn’t it? Don’t worry – this guide isn’t going anywhere. Just be sure to bookmark it and come back once or twice more before your trip to review the details. Ride photos are available at several different attractions spread across Universal’s theme and water parks, with some even providing a twist on the hallowed theme-park staple. 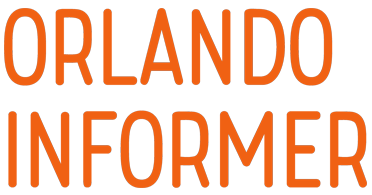 The following attractions will snap a photo of you during the ride proper, making for a nice souvenir of your various themed adventures. And because we want those mementos to be as momentous as possible, we’ve listed where those sneaky cameras are hidden away – strike your best pose! Some attractions can’t offer in-ride photos due to the nature of the ride experience itself. Universal remedies this by offering photographic keepsakes either before the attraction (in its queue) or right after it (in its attached gift shop). Where do I pick my ride photos up? If you are using a My Universal Photos Package, present your Photo Card, and individual ride photos can be added to your account. The final option is simply to purchase prints right there at the ride-photo counter. For example, at Men in Black, the most economical option for a print is a single 5×7 photo, which is available by itself for $21.95 or with a basic frame for $24.95. More elaborate printed souvenirs are also available. 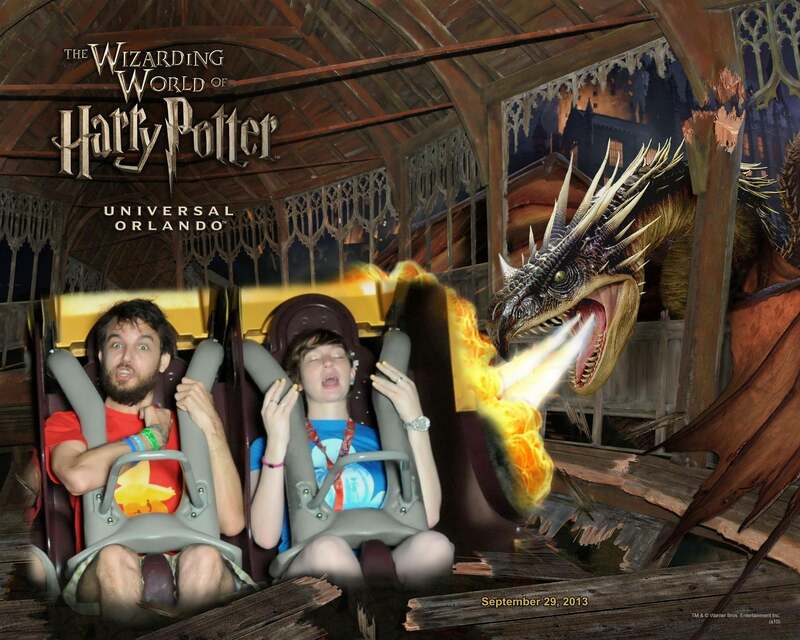 Now, let’s discuss a few exceptions to what we’ve established are the rules to Universal Orlando’s ride photos. 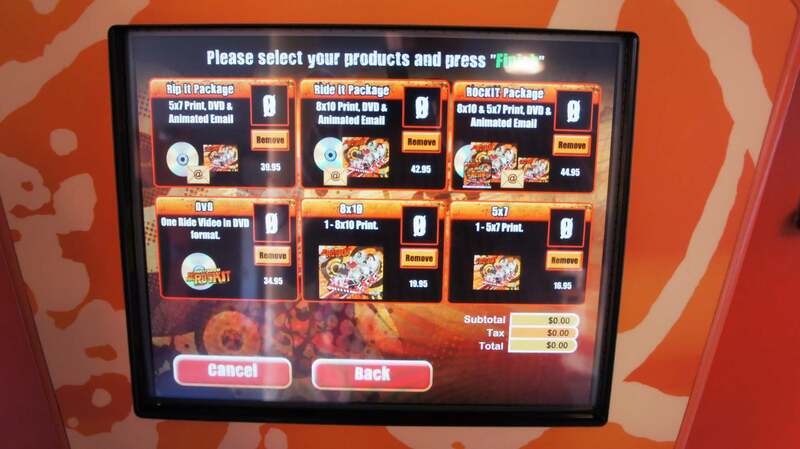 As you can see, Rockit also has kiosks where riders can view their media, select an option, and make a purchase. At most other attractions, this must be done at a central photo desk. My Universal Photos: please note that ride photos taken at Hollywood Rip Ride Rockit can be added to a Photo Card, and they can also be included in the My Universal Photos Package. However, videos must be purchased separately. We’ve already established that Harry Potter and the Escape from Gringotts offers its ride photo in its queue (guests must wear 3D goggles, which would kind of ruin the souvenir quality of the pic). But since the way that Universal opted to implement this in-queue photograph is so novel, we thought it was worth quickly going over here. Please note that the photo op is only accessible via the main queue, not the single-rider or Express Pass queue. If you want to make a purchase, this is done after you unload from the ride. Prints are $19.95 for the family 8×9 photo, and, if you buy it, an additional $19.95 for the security badge. 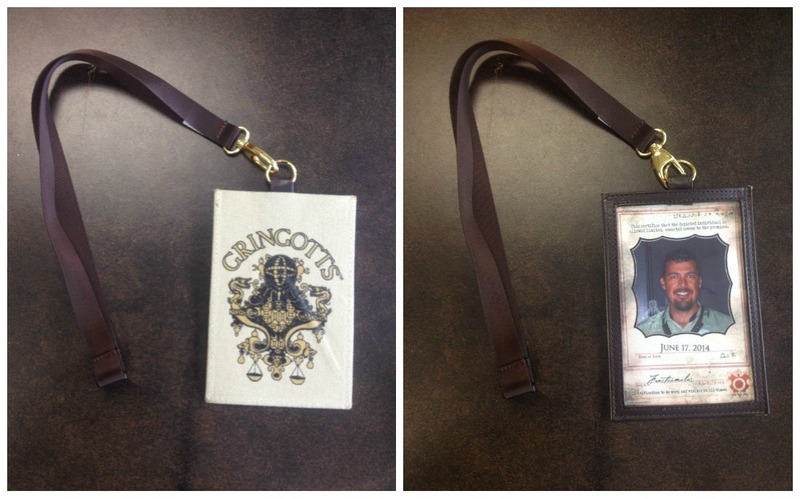 Printing Escape from Gringotts photos: we know this is confusing, but here is our best attempt to explain it. Because of licensing, the only place you can have Escape from Gringotts ride photos printed on-site at Universal is at the actual Gringotts attraction. This is different than every other non-Potter ride on-site, whose ride photos you can have printed at the attraction or at the My Universal Photos stores as you leave the park. So if, for any reason, you want an Escape from Gringotts ride photo printed, remember that it must happen at Harry Potter and the Escape from Gringotts. 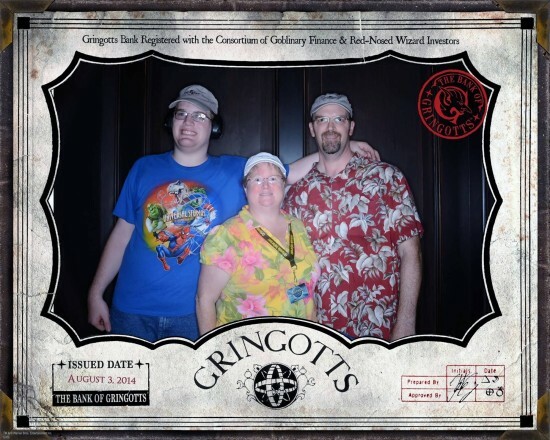 My Universal Photos: if you are using a My Universal Photos Package, the good news is that Gringotts photos can be added to your online account. In addition, guests with a Photo Package can purchase the security badge without having to print the family 8×9 print first. The bad news is that you cannot redeem your My Universal Photos Package free prints at this attraction. As with the other rides, more elaborate photo collections are available if you still have money left over from buying Harry Potter souvenirs! Printing Forbidden Journey ride photos: if you read the section above covering Escape from Gringotts, this will look familiar. Because of licensing, the only place you can have Forbidden Journey ride photos printed on-site at Universal is at the actual Forbidden Journey attraction. This is different than every other non-Potter ride on-site, whose ride photos you can have printed at the attraction or at the My Universal Photos stores as you leave the park. So if, for any reason, you want a Forbidden Journey ride photo printed, remember that any Forbidden Journey photo printed on-site must happen at Forbidden Journey. My Universal Photos: if you are using a My Universal Photos Package, the good news is that Harry Potter and the Forbidden Journey ride photos can now be added to your online account. What’s more, you can redeem your My Universal Photos Package free prints at this attraction. Because of their popularity, guests often ask about these two rides. Here’s what you need to know. Transformers: again, there is no on-ride photo opportunity here. 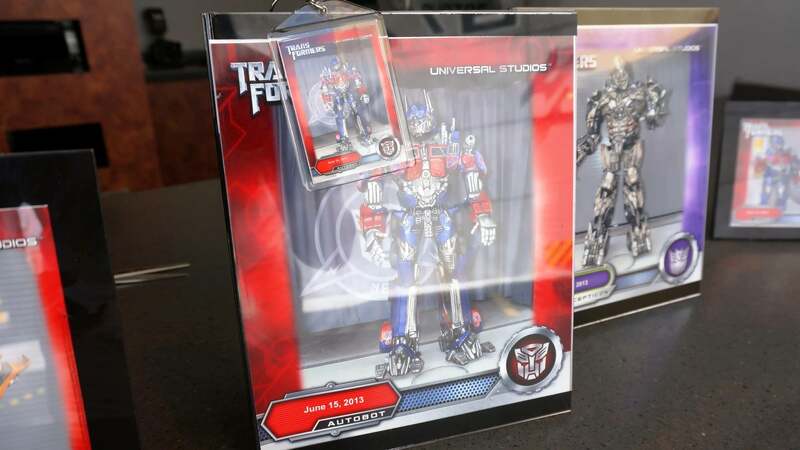 Instead, Universal offers a very elaborate meet-and-greet opportunity for guests to interact and have their photos taken with the Transformers characters (alternating between Optimus Prime, Bumblebee, and Megatron). 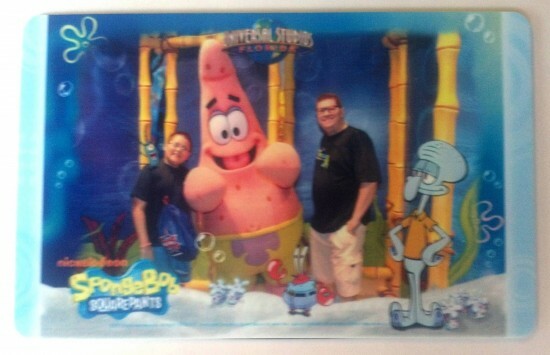 If you do get your photo taken, those images can be purchased at the nearby My Universal Photos booth. Keep in mind that, like all character photo opportunities, these ones can also be added to your temporary Photo Card or My Universal Photos Package for safe keeping. The Amazing Adventures of Spider-Man: there are three photo opportunities associated with this attraction, one of which happens on the ride, but all of which you may be interested in. The first one is actually offered inside the regular queue for the ride, where you can have a photo taken in the Daily Bugle newsroom. 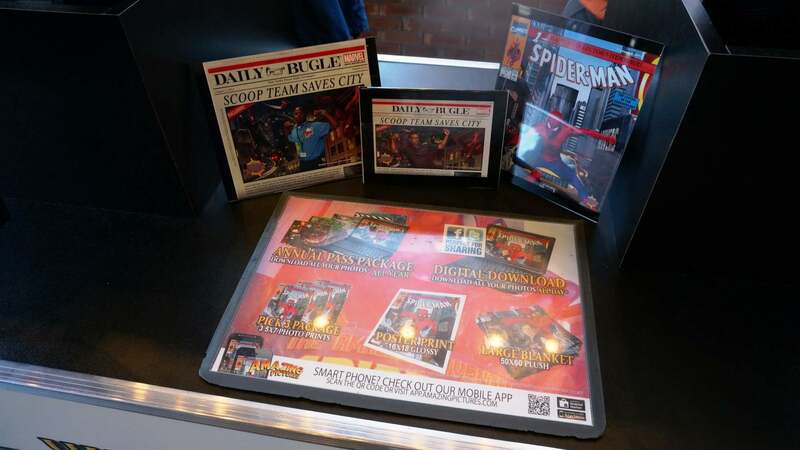 There is a My Universal Photos kiosk in the Spider-Man gift shop to make your purchase or save to your Photo Card (shown above). Keep in mind that, if you use the Express or single-rider queue, you do not pass by the Daily Bugle photo op, so you’ll have to make a special trip through the regular queue if you really want this photo. There is an on-ride photo taken, which is also available to be purchased at the aforementioned kiosk. The final Spider-Man photo opportunity is a traditional meet-and-greet, which happens in the building across the street from the Spider-Man attraction. Information about the exact location and character times can be found in the in-park guide map. Please note that the personalized Photo Card used to be included in the My Universal Photos Package, but that is no longer the case. If you’d like a personalized Photo Card, you’ll have to purchase it separately. Do you have a question about the information on this page, would like to provide feedback, or did you spot an inaccuracy? Please let us know by posting in our Universal Community Facebook group.